This is not a fancy motel, but It was clean, comfortable and safe. So often inexpensive motels draw a bad element that is noisy. acting out and in the worst cases dangerous.....Not at this hotel. It is a family owned motel and the family resides at the motel. They do not bother guests but also do not tolerate noisy loud or inappropriate behavior. As a single woman traveling alone I felt safe there. Each door has a reinforced metal plate that would be difficult to break into or jimmy open. We were very close to the Phillies stadium which is the main reason we came. We loved the pool at our motel. We were close to the beaches too. Good location. Seems safe, relatively quiet. Clean. The location was perfect. They did have a heated pool which the kids really enjoyed. The hotel was centrally located so it was easy to get to the beaches or Tampa in just a few minutes. The rooms were clean. Beds were comfortable and the sheets were clean. The bathtub had a handrail in it which was great for me.
. The location was great. Not far from the beach. Plenty of restaurants, bars and stores. It is close to essentials like food shopping and the main thoroughfares. 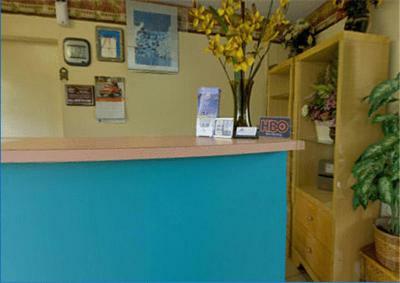 Gulf Way Inn Clearwater This rating is a reflection of how the property compares to the industry standard when it comes to price, facilities and services available. It's based on a self-evaluation by the property. Use this rating to help choose your stay! One of our best sellers in Clearwater! Gulf Way Inn Clearwater is located 6.8 mi from the Gulf Coast. 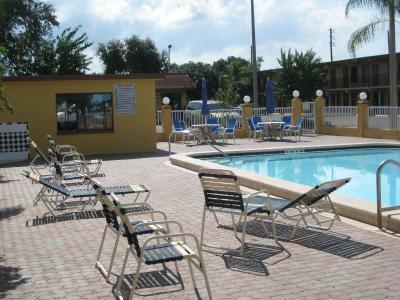 An outdoor pool and free WiFi access are featured at the motel. Guests can also enjoy a coffee and Danish in the morning. 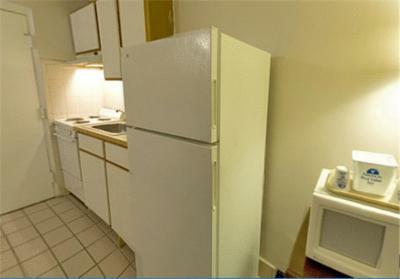 A microwave and a refrigerator are included in each Gulf Inn room. An alarm clock and 40-inch LCD flat-screen cable TV with premium channels are also provided. 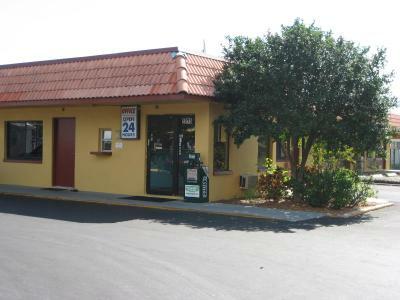 The Gulf Way Inn Clearwater offers business services and guest laundry facilities on site. Free coffee is provided every morning in the lobby. Local calls are complimentary. Clearwater Beach is 6.1 mi from Gulf Way Inn, and Clearwater Mall is 1.1 mi away. Bright House Field is 1.4 mi away from the motel. When would you like to stay at Gulf Way Inn Clearwater? This room features a cable TV and coffee-making facilities. This suite features a seating area with a sofa bed. This room features a microwave, refrigerator, and coffee-making facilities. House Rules Gulf Way Inn Clearwater takes special requests – add in the next step! Gulf Way Inn Clearwater accepts these cards and reserves the right to temporarily hold an amount prior to arrival. The outdoor swimming pool is heated between November and April. Had stove, refrigerator and microwave but didn't have things like toaster, coffee pot and other essentials if I would have known that I would have prepared appropriately. It took 20 minutes to get someone to check me in. The room was old and in poor condition. The people upstairs came home at 2 am and were making noise until 3:30. When you flushed the toilet it continued running loudly for 30 minutes. When complaints were brought up to the manager they did not care! No hair dryers and the clothes dryer was very noisy, It sounded horrible like there were bricks being dried in it. The room was filthy, everything was sticky and there was random hairs everywhere including on the clean towels. Booked a king room/ smoking . Wasn't available when I arrived there. Gave me a doubleroom/smoking. Room not ready had to get yet another room king/non-smoking room Smelled of smoke anyway . Was a little run down for the price. Maid not cordial 😐. Would not stay there again. Treatment by staff during check in was unprofessional, room was littered with cigarette burns including the bed sheets. Window was broken and a security concern, bulbs were out.